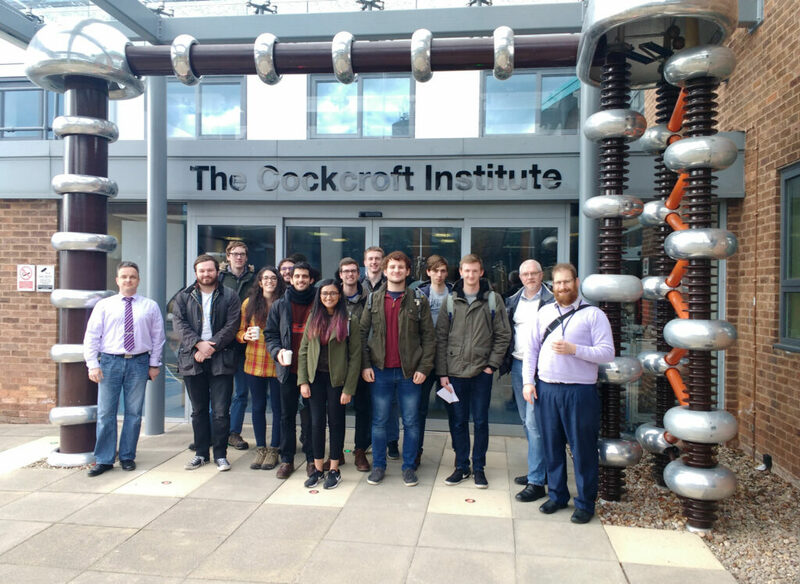 From 12th March, LIV.DAT students attended a High Performance Computing (HPC) School partially hosted at the Cockcroft Institute and organized by the University of Liverpool and LJMU. The four-day programme introduced fellows to the cutting edge facilities available and the techniques they would be expected to use throughout their projects, focusing on HPC, visualisation, machine learning and scaling techniques. The training was organised by Dr Jonathan Smith from Sci-Tech Daresbury’s Tech-X, with support from the Hartree Centre, the Virtual Engineering Centre (VEC). LIV.DAT fellows at their HPC Training School. Fellows were welcomed to the School by Dr David Hutchcroft. The introductory session described the HPC facilities available locally at Liverpool including those the students would be using over the course of the week. This was followed by introductions to numerical theory and methods, and exercises in scaling simulations using the Barkla cluster at Liverpool, all led by Jonathan Smith. Tuesday started early as the participants went to the Cockcroft Institute in Daresbury. Dr Michael Gleaves, Deputy Director of the Hartree Centre, introduced the morning session and described the ongoing research and plans of STFC / Hartree in an international context. There followed sessions on machine learning led by Dr Simon Goodchild and energy-efficient computing by Dr Milos Puzovic. 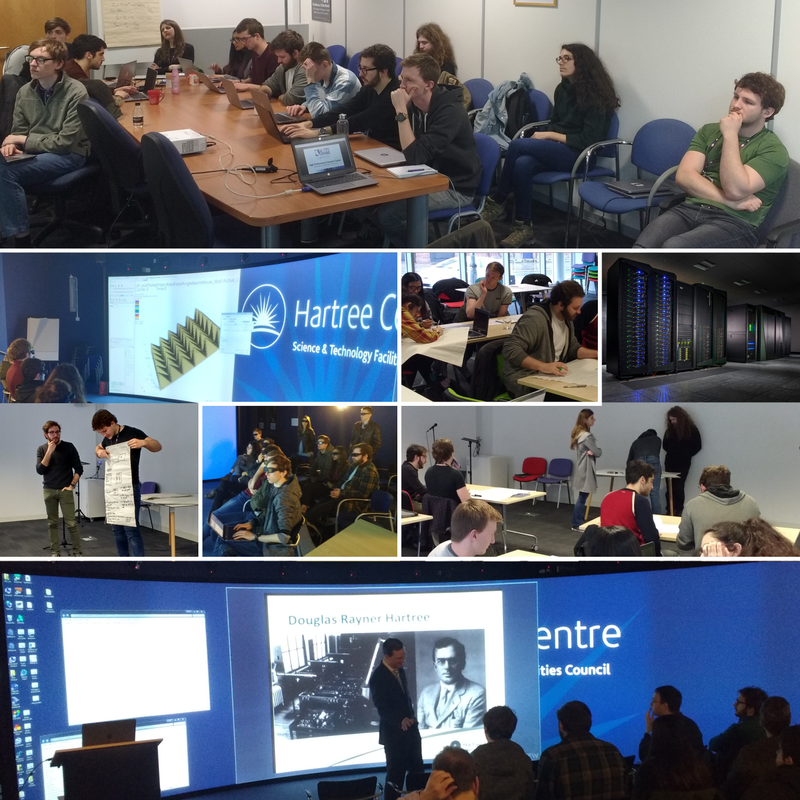 After lunch, the group were given tours of the Hartree HPC cluster machine rooms at Daresbury and the 3d visualisation suite at the VEC to experience hands-on examples of research that have used the Daresbury HPC facilities. HPC training at the Cockcroft Institute, Daresbury. The School recommenced on Thursday. Cliff Addison (Manager, Advanced Research Computing at Liverpool) described the large-scale HPC facilities available to the fellows in the UK and throughout the world. There followed sessions on visualisation and scaling, boundary conditions and hands-on optimisation studies in groups. Friday’s programme was rearranged at short notice due to a presenter’s wife going into labour! The fellows were shown some real life examples of HPC applied to astrophysics research by Dr Rob Crain and then undertook a hands-on session relating to software design. The School concluded with a summary and feedback session – this is particularly valuable as it helps to hone the training programmes for future cohorts of data scientists.